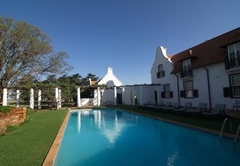 Welgelegen Manor is a 5 star graded hotel offering Balfour accommodation in 8 guest rooms. 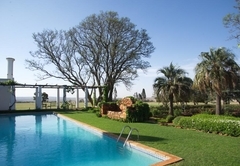 Located less than an hour's drive from the city of Johannesburg, Welgelegen Manor offers luxury accommodation within the heart of Cosmos countryside. 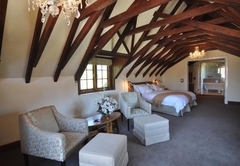 This country retreat combines 19th century old world charm with modern hotel luxury. 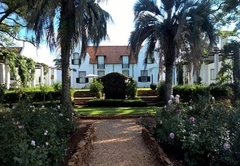 Coupled with a warm South African welcome, you will enjoy a truly unforgettable stay. 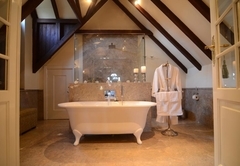 Remaining true to the Manor’s classic English residential style, the eight suites combine contemporary comfort with the timeless glamour and heritage associated with this historical property. 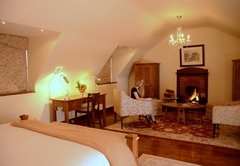 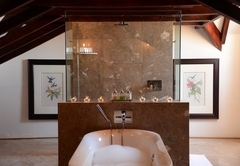 The four suites in the manor house are exceptionally spacious and overlook the pool and side rose garden whilst the four suites in the carriage houses offer two twin suites on the upper level and two garden suites with entrances to the inner rose courtyard. 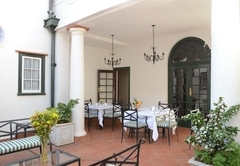 For business meetings or small conferences, Welgelegen Manor offers a venue with a difference: our combination of venue, individualized service, attention to detail and superior accommodation will ensure you an event experience that is flawless, productive and unforgettable. 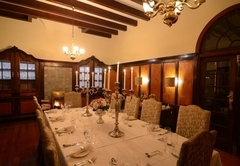 Our conference room includes modern facilities and amenities required for any small conference. 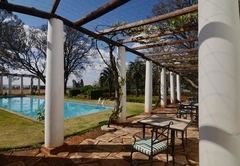 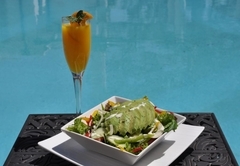 However, the lounges, patios and garden terraces can be used for meetings, breakaway sessions, team building, brainstorming sessions and intimate cocktail functions. 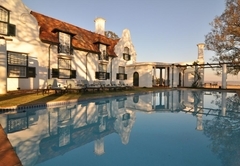 Response timeWelgelegen Manor typically responds to requests in 5-10 minutes.